Dark Roast with a rich and deep mellow flavor and exceptional body. Light roast blend yields an almost candy-like flavor with an enticing aroma. Misty ecosystems and fertile soil. Altitude and legend. The conditions that produce Cafe Britt's "Poas Volcanic Earth" have been nurtured over the millennia on the slopes of Costa Rica's most-visited active volcano. Every cup produces the same exhilaration as a lucky glimpse of the volcano's deep-blue crater lake. 100% SHB (Strictly Hard Bean). 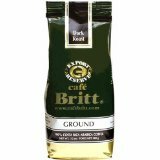 All natural whole bean gourmet coffee, dark roast. Kosher certified and fair trade practices. The Tarrazu coffee is acknowledged, along with Kona from Hawaii and Blue Mountain from Jamaica, as one of the best coffees in the world. The quality of this coffee is defined by the characteristics of the region where it is produced: the Tarrazu coffee is produced in a range between 4,500 and 6,000 feet of altitude. This officially defines it as Strictly Hard Bean (S.H.B.) and is the highest and best classification that can be given to coffee. This characteristic, along with the fact that it is produced in the slopes towards the Pacific coast, make it the key ingredient in the world's premium brands. COFFEE ARABICA is the only type of tree used by the Coopetarrazu associates. The two main varieties used are low height Caturra and Catuai trees which provide for a high quality yield with excellent taste. A "bright" coffee, high in acidity, medium to heavy in body, a sharp distinctive finish, wonderfully aromatic and rich in its own unique flavor. Costa Rica San Bosco Tres Volcanes Medium-Dark roast, nice body, gentle acidity. Our Costa Rica San Bosco Tres Volcanes is grown at altitudes of 4,000-5,000 feet above sea level in the Central Valley region of Southern Costa Rica between two volcanoes. The coffee produces a cup that is wonderfully balanced, has good body, gentle acidity and a well defined chocolate aroma. Some feel this bean makes a perfect cup of coffee...find out for yourself. Costa Rica Coffee medium-dark roast. Sweet and rich with fruity undertones. Shade grown - Bird friendly - Preserve the rain forest. 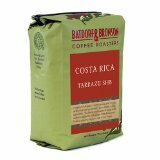 Known for its exciting tropical rainforests, Costa Rica produces this superb coffee from the Tarrazu region. A strictly hard bean, its flavor is balanced and full of body. Across the globe, within the belt of tropical rain forests and rising from mountainous volcanic soils, are the world's finest Arabica coffees. In keeping with our commitment to excellence, we have combed these coffee growing regions to identify the most exquisite Arabicas to bring you Reggie's Roast Premium Coffees. It is a medium blend. A coffee with refreshing acidity, round body and juicy citrus notes. Costa Rica Tarrazu La Capilla (the chapel) is medium roasted between the first and second crack, which highlights the natural flavors inherent to the region. This coffee displays excellent balance, bright acidity, snappy coffee flavor with medium body and a natural, sweet, caramel nuance. Near perfect balance of aroma, acidity, body and cup in this Costa Rica coffee. 1 pound of each of the following green coffee beans: Costa Rica Cafe Vida, Tanzania Peaberry, Colombian Supremo, Brazil Serra Negra, and Ethiopian Yirgacheffe Beans. KVW is a water decaffeination process done in Germany. It is a European water process that is safe and clean as well as efficient in retaining those delicate flavors coffee drinkers love. 3lbs shipped in plastic bags with roasting information. Costa Rican coffees are exceptionally high grown in volcanic soil. These two factors together produce a very bright and very clean cup. Additionally, these slower grown, dense, high altitude beans (SHB - strictly hard bean) can take the heat of an Italian or French roast. I drink this one at home for its near perfect balance of aroma, acidity, body and cup. Coffees from the Tres Rios region are a great single origin cup. 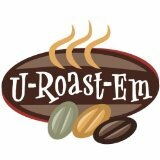 We roast after you order, ensuring the feshest possible coffee. 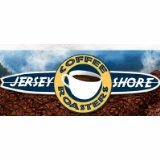 All orders are roasted fresh and in small (1-2lb) batches. Included are 2 pounds each: Mexican Chiapas High Grown, La Minita Tarrazu from Costa Rica, Nicaragua La Bastilla Rainforest Alliance Certified, Guatemala San Pedro La Laguna, and Panama Boquette.